Flipkart might’ve ended 2016 on a strong note after a healthy sales season, but it’s still bleeding large amounts of money. 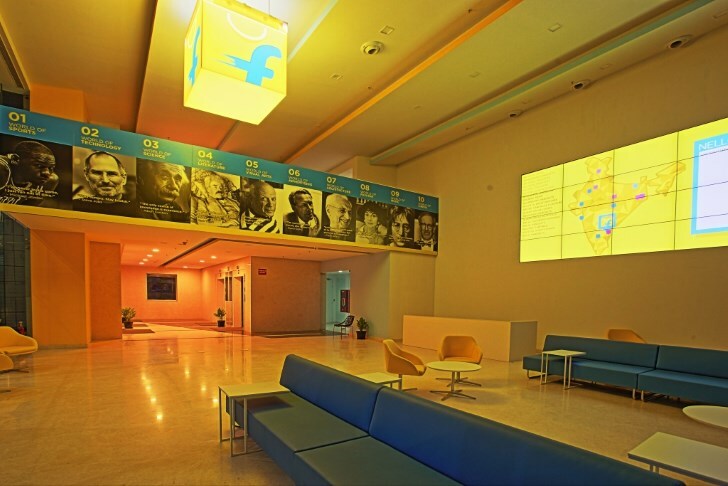 Flipkart Internet has reported losses of Rs. 2,306 crore for the financial year ending 2016. These losses have more than doubled over last year, when they stood at Rs. 1,096 crore. Flipkart Internet is Flipkart’s arm marketplace arm that books commissions on each sale. Its sales have grown grown exponentially since 2014 – its sales in 2014 were a mere Rs. 316 crore in 2014, and rose to Rs. 659 crore in 2015, and to Rs. 1,952 crore in 2016. But losses, though, have kept pace – they’ve risen from Rs. 316 crore in 2014, to Rs. 1,096 crore in 2015, to Rs. 2306 crore in 2016. For its part, the company seems to have realized that continuous losses are not sustainable, and is making a conscious effort to cut costs. Teams across the company have been reportedly been asked to slash expenses. The company has also reduced its workforce, letting go of several hundred people earlier this year citing performance reasons. It is also not looking to hire as aggressively as before – after its decision to delay the joining dates of its graduates caused controversy, it has decided to not visit the IITs for placements this year. The company also seems to be moving towards more austerity – it has reduced the seating capacity for its new office by 40%, and will also spend less on the furnishings. It remains to be seen if these measures will suffice in its bruising war for supremacy with Amazon. Amazon India has a multi-billion dollar cheque from CEO Jeff Bezos, who sees India as a critical market. Amazon and Flipkart have successfully managed to turn India’s e-commerce wars into a two-way race – Snapdeal, by most accounts, is a distant third behind the two leaders. The battle for first place will only get more intense – and more expensive.